Loc Stitches Thing - page 2 - traditional and digital artwork - Furtopia | Family Friendly Furry Forum and IRC Chat! 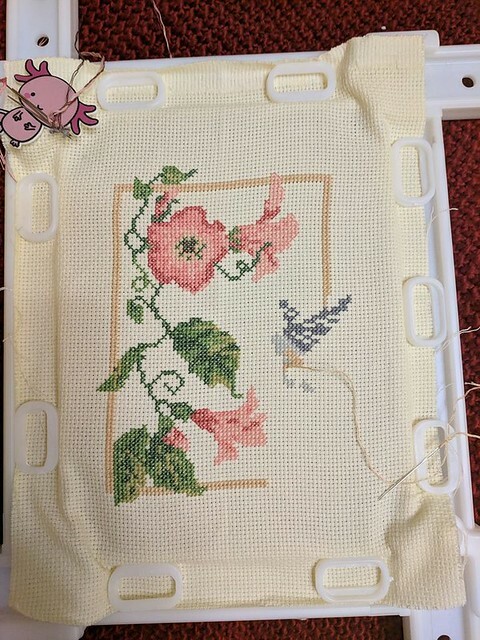 All flowers and greenery is now done, except for outlines (which will be the last thing to go on). Now to do some border, and then start work on the animal. Really awesome! Looking forward to seeing even more of this finished. Totally cool art form to pick up and learn. I have a fairly short attention span some days because of my pain issues, but the great thing about these is you can multitask! 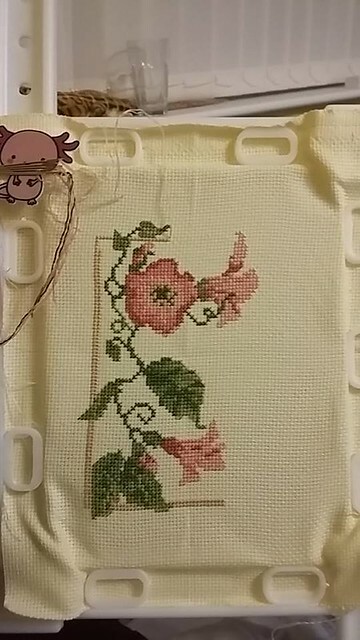 I usually put a film on or queue up some Youtube and stitch for a bit, then take a break and do something else, and after about 15 minutes my brain goes "well I wanna do more stitching though" and I get back to it for a while. It's instantly rewarding to see the picture starting to build up. Been making some progress on this. Nearly done now. Totally AWESOME Loc! Dude this is cool. The Ivy and Hummingbird one is nearly done. I'm down to just outlining now. I am working on another smaller project done entirely in a hoop while sitting at my PC desk, which is also rapidly nearing completion. When it's finished, I'll upload all of the pictures. I'm looking into buying a 30x30 inch floor-standing stitching frame, and working on a massive project to do as a wall hanging for the house. Weisseman has seen it and approves. I'm not joking when I say I would be happy to get it done (when I buy everything and start, it's still a "when I have spare cash and have finished other projects") within three years.